← End of Day One…..
Let’s hear it for the boys…..
Let’s hear it for the boys – and the girls – who have worked so hard this weekend to make the Made in Staffordshire gala at Apedale such a success. It’s sometimes hard to remember all the effort which goes on in the less glamorous parts of running an event such as this. So, to the people who made the tea, emptied the bins, marshalled the carparks, staffed the shop, drove the locos, pulled points, worked the PA and so on and so on – well done. But also give thanks to the team who work through the endless organisational issues – the form filling, the method statement writing, handling the booking forms, stamping the tickets just to name a few. We must also remember the exhibitors who brought their cherished vehicles, displays or model railways for our visitors to admire. Perhaps this year we should single out the Perkins Engines heritage group who brought an extremely impressive stand. 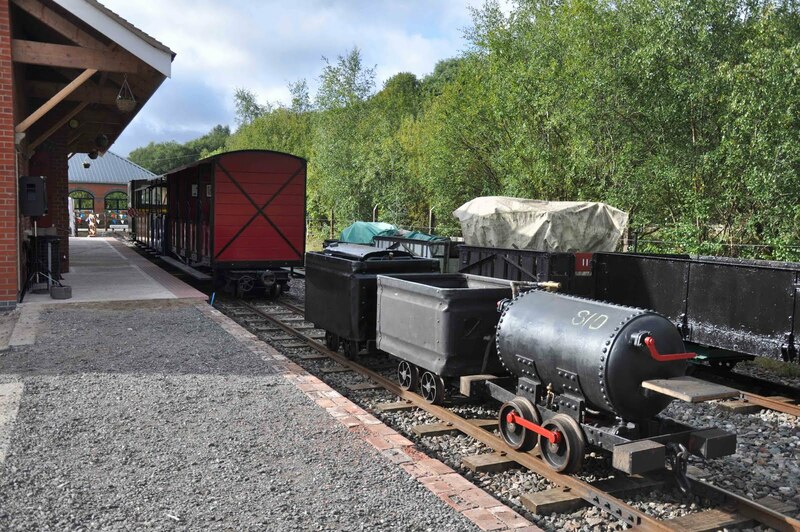 We must also express our thanks to the owners of the visiting engines – the Staffordshire Narrow Gauge Railway Society for the Bagnall “Isabel”, Statfold Barn for the Hunslet “Statfold” and Roy Etherington for the compressed air loco “Sid”. Finally, we hope that everyone who came to see us enjoyed the weekend. If anyone has any ideas for next year’s event, get in touch here.